Client Advisor - MSRP $114,650.00 If you've been looking for the right '13 Porsche 911 Carrera S with the right miles at 25,165 look no further! This Non smoker Carrera S is loaded with great options including Full Alcantara roof, PDK transmission, 20" Carrera S wheels, Wheel center caps with colored Porsche Crest, Porsche Dynamic Light System(PDLS), Park assist front and rear, Power steering plus, Navigation, Sport design steering wheel, Model Designation "911" badging, Bose Premium Audio Package, Door sill guards in Stainless Steel, Bi-Xenon headlights in black with Porsche Dynamic Light System (PDLS) and much more! This Porsche is the perfect daily driver or weekend cruiser! The interior still smells new and the leather is in fantastic condition! It's absolutely AMAZING how fast the PDK transmission shifts into each gear! This Porsche has an Aero kit to give it a more aggressive look alongside with an upgraded rear wing and fin. 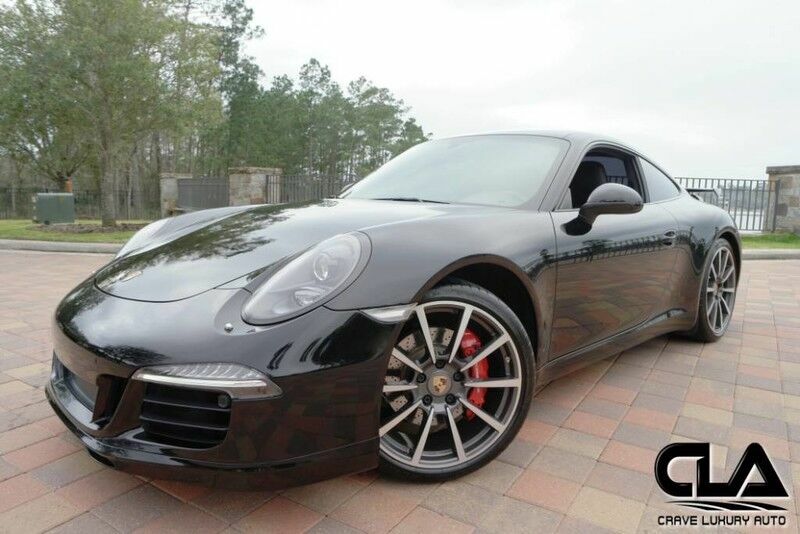 Don't miss this opportunity to own this Rare and Exclusive Porsche 911 Carrera S! This Porsche like all previously owned vehicles here at CLA went through our own rigorous inspection process performed by our Master Technicians. Call to schedule your appointment today! Crave Luxury Auto is located Just north of Houston, Tx in The Woodlands. Our service center is just across the street from our showroom. Please call us with any questions you have in regard to this vehicle at 281-651-2101.